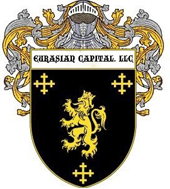 Commercial Financing, Private Equity Capital | Eurasian Capital, LLC. From time to time, numerous owners and managers of small businesses consider the option of selling all or part of their company for capital procurement purposes. They become anxious about having most, if not all, of their net worth at risk in the business. A multitude of concerns often conspires to make them postpone taking any action. They worry about possibly not receiving the maximum price if they sell now and more importantly, sense they are not finished with their work. The builder in them wants to keep expanding the business, not just to create greater value, but also to satisfy the innate entrepreneurial urge to enlarge the vision. Succinctly, the desire is to preserve their accumulated wealth and keep building for the future. ECAP has developed a specialty in associating with such owners and managers to help resolve the conflict between their personal financial goals and the needs of the business. We provide commercial financing so owners and managers can continue to lead their enterprises and participate in the rewards of future growth, while at the same time achieving the liquidity to diversify their personal holdings and fund the next round of company expansion. We assist clients with building value by working with professional managers and entrepreneurs to achieve liquidity, implement operating improvements for the business, and realize short-term and long-term strategic financial goals. Our objective is to provide or arrange for liquidity and private equity capital for managers and owners of companies with revenues of $1,000,000 or more. We also review smaller capitalized companies and view the underlying merit of each transaction on a case-by-case basis. ECAP discovers and disseminates highly targeted, detailed reports to key institutional contacts within the professional investment community, which consists of pension funds, family offices, hedge funds, private equity firms, venture funds, securities analysts (buy-side/sell-side), stockbrokers, and institutional investors. Utilizing established relationships within our syndicate base, we inspire investment interest and generate quantifiable results.